Medusa was a maiden cursed with serpent hair and a terrifying visage that turned the living to stone. Once slain, her head was placed on the goddess Athena's shield, projecting power and guardianship. 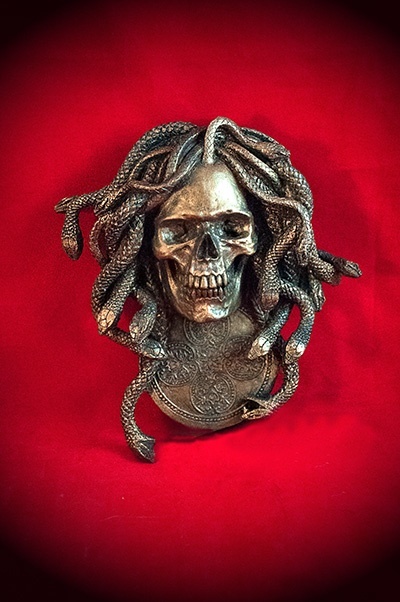 Staring from beyond the grave, Medusa offers protection and averts evil. 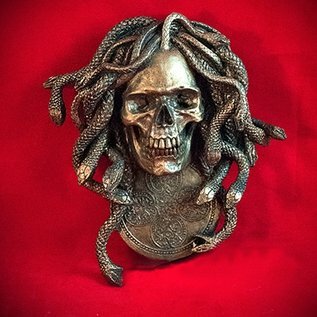 Cast in high quality resin and hand painted, brass hanger on the back.